Great Lakes and Advantage Window Solutions offer many different color combinations for your home. 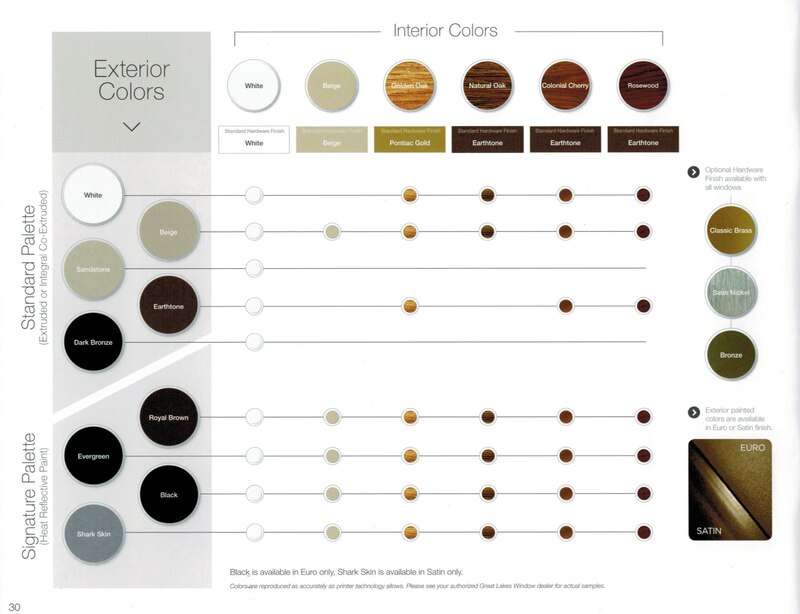 Please note the availability of the different interior combinations available with each outside color. Not all woodgrains are available with each exterior color. Please note the sandstone is a gray color. Earthtone is a dark brown color. The cost for adding Dark Bronze, Sandstone, and Earthtone is very affordable at around $60 per window. If you have a triple casement (crank out) window in one main frame then the cost would $180, these would be considered 3 windows.